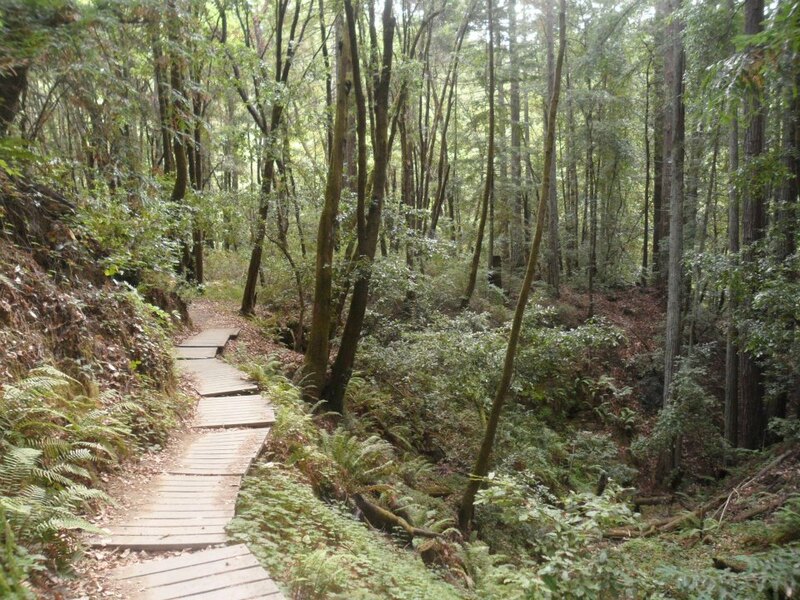 The setting for the Marathon, Half Marathon and 5K is the beautiful Forest of Nisene Marks, host to acres of redwood trees nestled in the Santa Cruz mountains near the small beach town of Aptos, CA. The event benefits the Lions Club of Santa Cruz, a non-profit organization that works to help the seeing-impaired community. All race finishers are awarded a finisher's medal and a technical tee shirt is included in your race entry fee. Overall male and female winners of the Marathon and Half Marathon receive the coveted winner’s jacket. Top 3 male and female winners of each age group in the Marathon, Half Marathon and 5K receive winner’s medals. A free lunch will be served between 11:30 and 1:00 (or until we are out of food) to those racers and family members not on the course. This lunch is graciously donated by the Lions Club and not part of your entry fee. The Marathon is partly an out and back and a looped course. Runners will begin in Aptos park and ascend up to the Sand Point overlook. 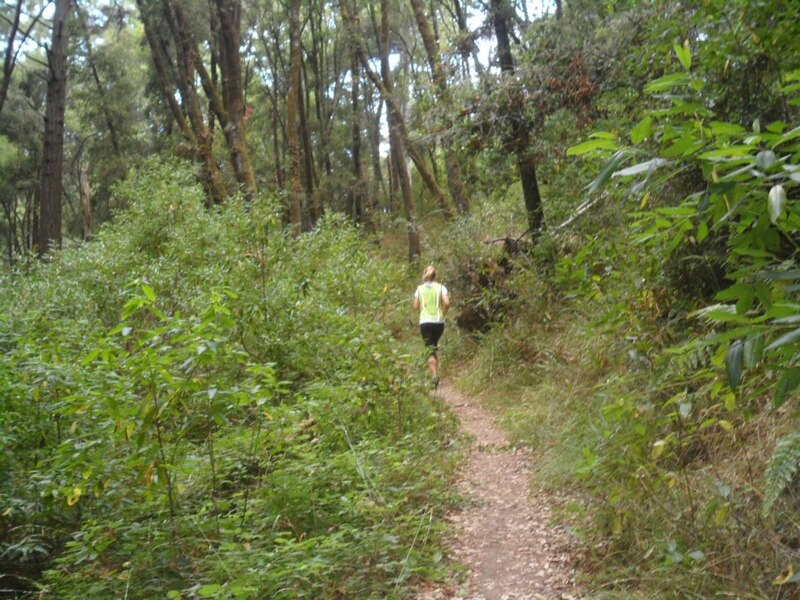 It includes approximately 3,100 feet of elevation gain. About 18 miles are on dirt fire road and 6 miles are on single track trails. NOTE: The cut-off for the marathon is 7 hours. The permit requires us to close the course and remove the volunteers to include all aid stations at the 7-hour cutoff. Sorry, but dogs and strollers are not permitted. The Half Marathon is a lollipop course. 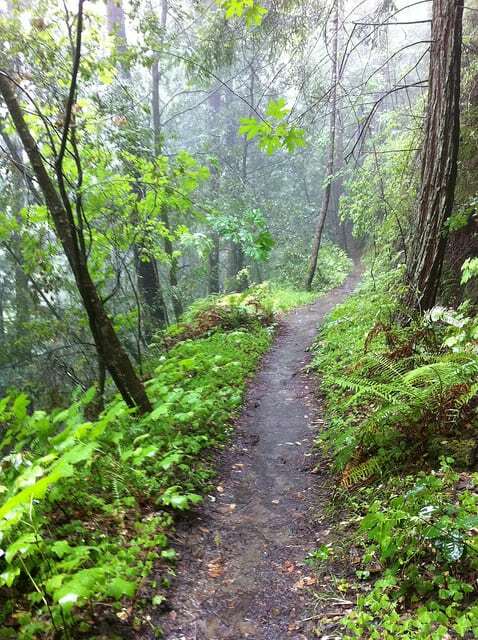 Runners will begin in Aptos park running/hiking 7-miles of dirt fire road and 6-miles of single-track trails. The elevation gain is approximately 2,400 feet. The cut-off time for the half marathon is 6.5 hours. NOTE: The cut-off for the marathon is 6.5 hours. The permit requires us to close the course and remove the volunteers to include all aid stations at the 6.5-hour cutoff. Sorry, but dogs and strollers are not permitted. The 5K starts in Aptos park and is an out and back on paved road and dirt fire road. There are two small hills (net elevation gain is about 150 feet). 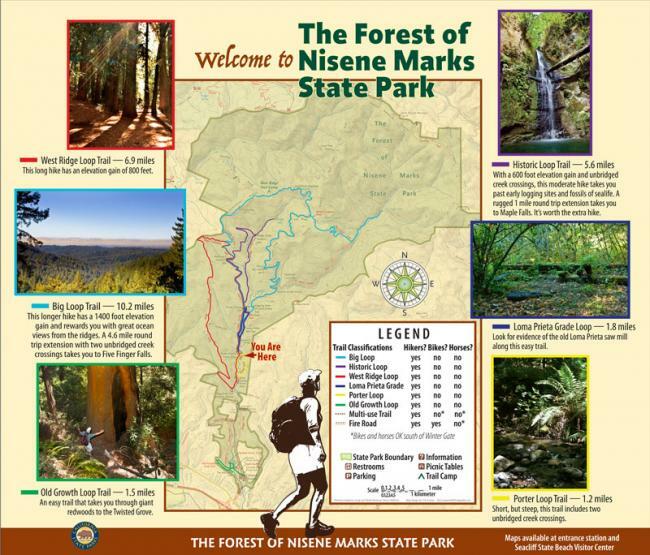 Walkers, hikers and strollers are welcome. Sorry but dogs are not permitted. All races begin and end in the Aptos Village Park, 100 Aptos Creek Road, Aptos, CA 95003. 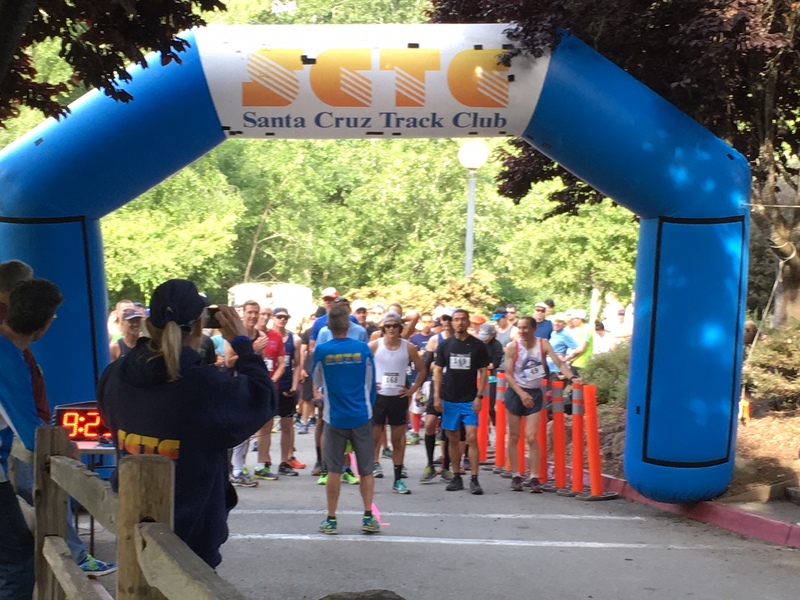 Packet pick-up will be available at the Santa Cruz Running Company (1664 Soquel Drive, Santa Cruz, CA 95065) on Friday, May 31, between 2:00 and 6:00pm, and again on race day morning beginning at 6:30am. If you register by May 15, you are guaranteed to get the shirt size you ordered.